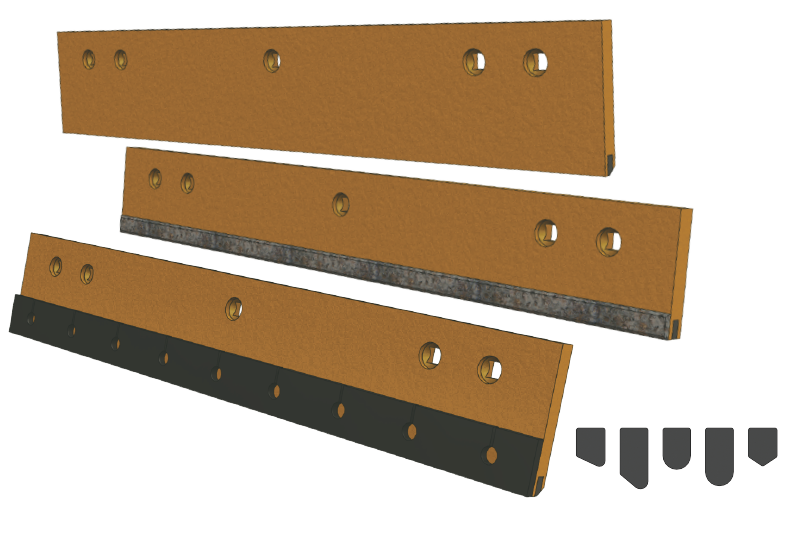 Reduce down time by using long-lasting VBL™ carbide-tipped plow and wing blades. VBL applied tungsten carbide matrix (TCM&trade), hard facing or strips of hardened plate (VALSTRIP&trade) are available as options to prevent premature base material wear “washout” and eliminate the need for a “face” or “cover” blade. Carbide-tipped snow plow blades are available in various sizes of flat and curved profiles* with hole sizes and patterns to suit all OEM equipment.